We’ve got a new collection on pre-pub containing four volumes that introduce Anglican faith and practice. It includes J.B. Bernardin’s classic Introduction to the Episcopal Church, read and appreciated since 1935. It also includes Introduction to Theology by Owen C. Thomas and Ellen K. Wondra: an introduction to topics in systematic theology from an Anglican perspective. What Episcopalians Believe: An Introduction comes from the pen of Samuel Wells, the former dean of Duke chapel and current vicar of the historuc St. Martin in the Fields parish. If you’ve not read Wells, he writes beautifully and this title is a good place to start. Finally, it includes Your Faith, your Life: An Invitation to the Episcopal Church by Jennifer Gamber and Bill Lewellis, a guide for people new to the worship and liturgy of the Episcopal Church. The whole set can be pre-ordered for only $30.99! The Easter Sale has Begun! The Logos Easter Sale has begun and it features a great selection of titles. The SPCK Gospel Studies Collection is on sale and it contains Open Door on Mark and Open Door on John by Phillip McFayden and Discovering John by Ruth Edwards. Alister McGrath’s Faith and Creeds and The Living God are offered together in the Christian Belief for Everyone Collection at a great price. Get an Anglican perspective on Eastern Christianity with the History of the Holy Eastern Church, 30% off. We’re also offer a buy 2 get one free deal: Buy the NICNT Gospels and Acts Collection and Stott’s The Cross of Christ and get Resurrection free! There’s much more to see, get these deals while they last! Joseph’s journey in search of his brothers falls into two parts, divided by an encounter, casual but consequential, with a nameless stranger in the pastures of Shechem. Shechem, where he was sent by his father to meet them, lay many miles north of Jacob’s settlement in Hebron, at the other end of their nomadic grazing circuit. But he is directed on from there, further north again, to Dothan – outside their customary range and, crucially, situated on a major trading route leading down to the coast. And that was the road up and down which the slave-traders plied, the road which led southward again to Egypt. Imagining the passion from the perspective of St. John the Apostle, John Prichard takes us on a potent and personal journey with daily readings from Ash Wednesday to Easter. Pritchard imagines St. John’s perspective on various encounters recorded in the Gospels, relating these to our own lives as disciples. The Journey with Jesus to Jerusalem and the Cross can be pre-ordered today for only $6.95. It’s important to remember that the word ‘Lent’ itself comes from the old English word for ‘spring’. It’s not about feeling gloomy for forty days; it’s not about making yourself miserable for forty days; it’s not even about giving things up for forty days. Lent is springtime. It’s preparing for that great climax of springtime which is Easter – new life bursting through death. And as we prepare ourselves for Easter during these days, by prayer and by self-denial, what motivates us and what fills the horizon is not self-denial as an end in itself but trying to sweep and clean the room of our own minds and hearts so that the new life really may have room to come in and take over and transform us at Easter. See more at the Archbishop of Canterbury website here. Lent begins today and so begins a period of reflection and preparation for Christians all over the world. We’re highlighting some resources today that might help priests and parishioners to make the most of this time. N. T. Wright’s Lent for Everyone series is built from his acclaimed New Testament for Everyone series and contains daily readings for each day of Lent. The collection contains three volumes – one for each lectionary year. The SPCK Prayer Collection contains four prayer books.Each contains a collection of prayers that will guide and enrich your prayer life through the Lenten season and throughout the rest of the year. The SPCK Liturgical Studies Collection contains three titles which examine how various elements of Christian worship – prayer, liturgical art, the Eucharist and more – have developed throughout history and what this history tells us about today’s worship. All of these collections and many more books are available at a discount for the duration of lent and we’re also pleased to offer The Fathers of the Desert free with the purchase of four or more of the highlighted titles. To find out more and to see all the books we’re highlighting click here. Revd. Dr. Tim Perry is Rector of the Church of the Epiphany (Anglican) in Sudbury, ON and teaches in the Joint Faculty of Religious Studies at Laurentian University, also in Sudbury. You can read his blog here. I spent a good deal of my early adulthood avoiding C. S. Lewis. After my childhood enthrallment with Narnia, I largely left the Oxbridge don behind. The reason was simple: everyone else was suggesting I should read him. So, I didn’t. There was more to it than that, of course, but not much. I tried dipping into Mere Christianity, The Screwtape Letters, the Space Trilogy, and other works, but none could hold me like the adventures of the Pevensie children in the wonderful land between the lamp post and Aslan’s country. So, why am I here writing an appreciation? The answer is simple. My appreciation has grown out of Lewis’s ability to speak to people who don’t care a whit about Christian faith; his ability to prod the un-churched to reconsider the claims that the “spiritual” or “religious” worldview might not be such obvious claptrap after all. While Lewis is considered passe by many in my church, he seems to be enjoyed by students in my religious studies classes at the local university. So for example, The Problem of Pain occupies a major spot in my syllabus for a course on Sin and Evil and if students come, as they often do, to think the issues are there too tidily described, I send them to A Grief Observed. Similarly, The Four Loves starts the second semester of a year-long course on the nature of human love. That book’s devastatingly simple thesis, that human loving, although multivalent, is transformed and becomes more fully itself through an encounter with the Love that is God often offers students an opportunity to reflect on the transcendent in a way that unites intellectual, volitional and emotional elements for the first time. Lewis, perhaps because he was an adult convert from the naturalistic worldview many of my students have simply inherited and never had the opportunity to query, seems uniquely able to make them pause and reconsider whether religious faith in general and Christian faith in particular deserves a first hearing and then, perhaps, a second. In short, Lewis is able to stand between the two worlds of naturalism and theism in a way that many of on both sides of the gulf are not. He simply takes my students by the hand and leads them first to Plato, and then to Augustine or Aquinas, and finally to church. And all the while he asks them whether they would not be wiser to think through their metaphysical commitments carefully before they declare one way or another. He patiently and calmly assures them that the questions they have about transcendence, God, and even Christianity are neither brand new nor unanswerable and has the unique ability to set out classical Christian answers without rushing a reader to a decision. Because there is no compulsion to be found, whether rhetorical or other, they seem more willing to journey with him. I have heard some readers criticize Lewis for being too dated and too certain to be of much value for a contemporary audience. It is certainly that case that many passages bear the stamp of an Oxford don writing in the mid-twentieth century, and sometimes longing for a world much older. But I have yet to find that to be a problem for my students, who seem willing to suspend moral judgments for older authors until they’ve gotten to the nub of what they have to say. As for his certainty, it is again certainly true that Lewis does not adopt the perspective of an author on the margins of faith. He would regard this, I think, as a fundamental dishonesty with the reader. He writes as someone convinced. He is not, however, a bully who compels or cajoles agreement. My students, again, know the difference and welcome someone who writes with conviction without belittling them in their disagreement. 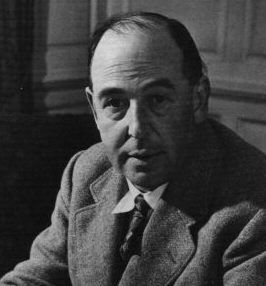 C. S. Lewis’s turn has come round again and we are better for it. The C.S. Lewis Collection is available for pre-order now. There are only a few days left to take advantage of the Logos 6 launch sale and the great deals that go with it. Between now and February 2nd 2015 you can get 15% off and up to $900.00 worth of free gifts with your purchase of a Logos Anglican Base Package. Logos Anglican has all the features and benefits of Logos 6 like Visual Copy, Factbook, Inline Search and Everything Search, but comes with a carefully chosen library of Anglican and Episcopal content that includes the N.T. Wright’s Christian Origins series, the Feasting on the Word Commentary, Black’s New Testament Commentary, the Thomas Cranmer Collection, the the International Critical Commentary New Testament, the Collected Works of John Henry Newman and much more! For more than a decade, N. T. Wright has been considered one of the leading experts on the life and theology of the apostle Paul. During January get Paul and the Faithfulness of God—widely regarded as N. T. Wright’s magnum opus—25% off! Paul and the Faithfulness of God, is Wright’s next installment and in his continued study of Christian Origins and the Question of God. A number of Wright’s earlier books touched on Paul and his theology, however Wright’s latest addition is considered by most to be Wright’s essential work on Paul—the culmination of a lifetime of study and reflection on the church’s most important theologian and missionary. If you’re looking to start a serious study on the theology of Paul, get Paul and the Faithfulness of God today! Not only will you get arguably the most important study on Paul but you’ll also save 25% on this resource that integrates seamlessly into Logos as a searchable, accessible and tagged resource. Paul and the Faithfulness of God will be this generation’s most important work on Pauline theology—don’t miss your chance to save 25% on this revolutionary resource, download it today!